Home BOLLYWOOD Hrithik Roshan Creates A Social Media Storm With His Statement! Hrithik Roshan Creates A Social Media Storm With His Statement! Twitterate came in support of Hrithik Roshan in one of the strongest social media trends of the day, recording more than 23,000 tweets in One day. Earlier yesterday, Hrithik Roshan finally broke his silence after 2 years over the 4 year long spat with Kangana Ranaut. The actor who poured his heart into the heartfelt post garnered immense support from the masses as it reflected on Twitter. If we thought social media was merely a medium to digs, then it’s not true. Hrithik Roshan’s statement on the Kangana issue was a testimony of the strong voice that the digital audience represents as millennials. The trend that began almost after Hrithik shared his statement on Thursday morning, witnessed more than 23, 000 tweets until early Friday morning. The social media dialogues witnessed a landslide change with an active debate breaking loose between the digital Janta discussing facts presented by Hrithik. Finding truth in Hrithik’s thought-provoking post, the digital audience united to voice the opinions in support of Hrithik. The day-long social media trend was one of the strongest and fast-growing trends witnessed on Twitter yesterday. 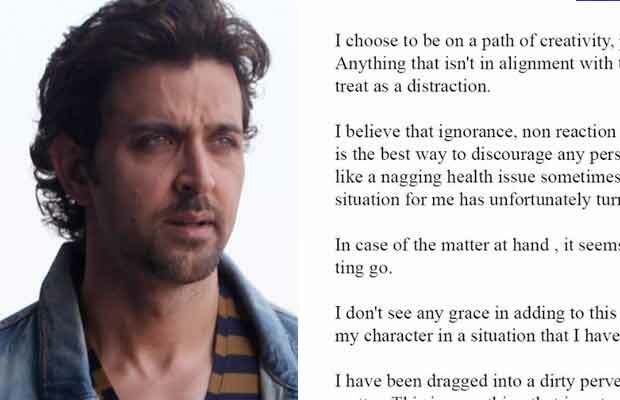 The post by Hrithik Roshan struck a chord with the actor and the dignified manner of addressing the issue won hearts of the audience, winning him support. For the uninitiated, Hrithik Roshan broke his silence for the first time in 4 years releasing his thoughts on Kangana Ranaut fiasco.